On this podcast with Hal Sutton we’re diving into what makes great players great. -What mindsets and tactics were most essential. -And try to figure out how they reached the success they have. Hal Sutton is one of the legends of the game and has so much to share from his playing experience and now his coaching. -PGA Tour rookie of the year in 1982. -1983 PGA Championship at Riviera and 13 other tournaments through 2001. 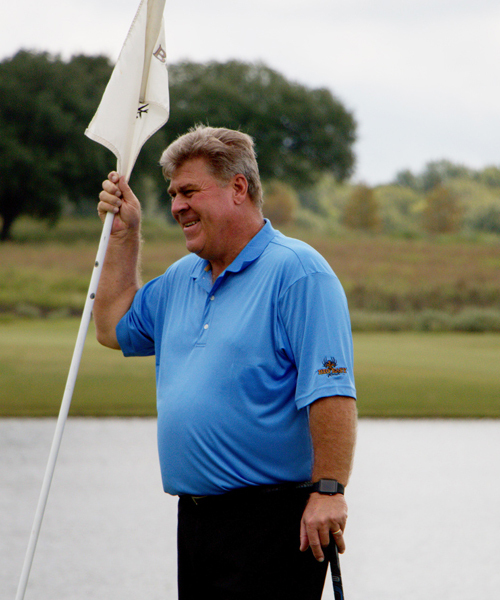 -He played on four Ryder Cup teams. His perspective I found is profound and he’s obviously spent a lot of time thinking about how to help educate and empower the next generation of golfers developing and growing. Well, I’ve worked with just about everybody through the course of time, trying to figure out if somebody knew something different than somebody else did. We’re always looking for the secret. There’s your secret… whatever your secret is. The key to you being a good golfer is figuring out what your secret is. I’d rather teach a kid to run through a brick wall with grit than perfect. Trying to be perfect is daunting. Everybody’s got a different opinion on perfect, so you better be ready to defend your version of perfect, because everybody’s got a different one.